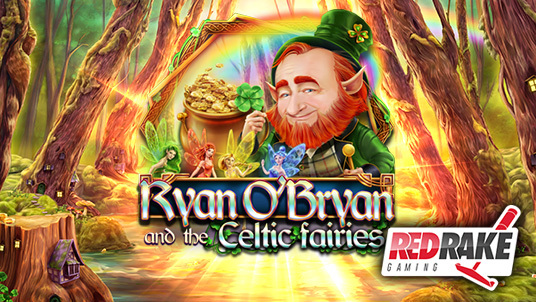 Red Rake Gaming has just launched in HTML5 a new 5x3 reel and 30-line slot machine called “Ryan O’Bryan and The Celtic Fairies”. A colourful and spectacular video slot where a fun character accompanied by four magic fairies lead us to discover interesting varied game mechanics. A wheel of fortune loaded with free spins and multipliers, where fairies continually fly over the reels offering more Wilds, a naughty leprechaun will help you to earn more bonuses and multipliers, and a mini game with pots of gold full of prizes are just some of the things that will accompany each player when they play. This new video slot also comes with catchy music and a Celtic theme that will whisk you away to the forests of Ireland when you are playing, as well as keeping players entertained while winning some great prizes.